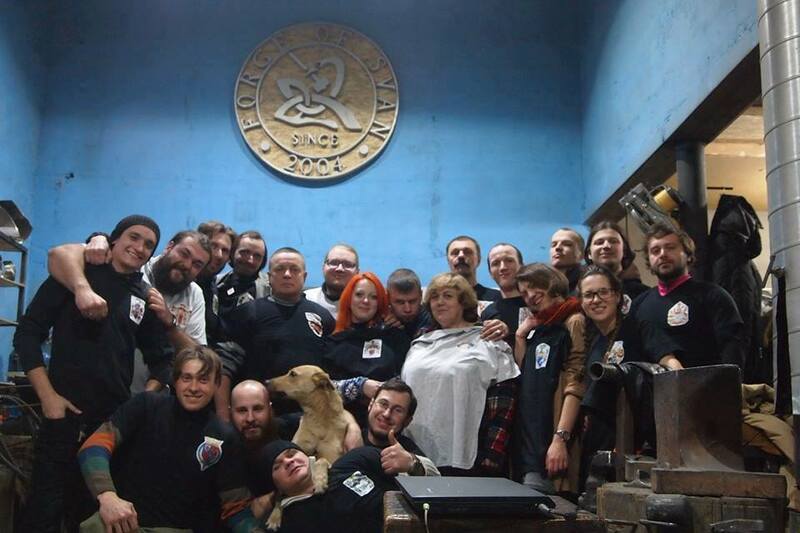 Our company “Forge of Svan” was founded in 2004. 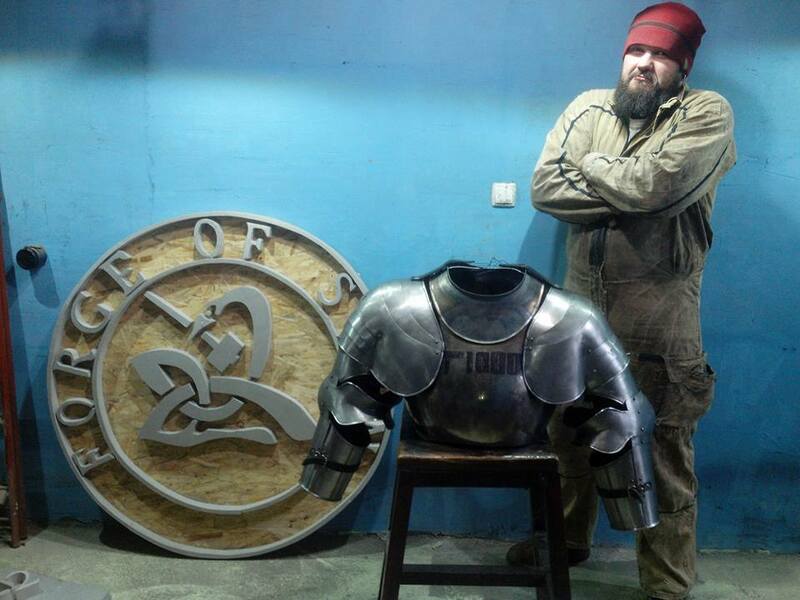 And from its early beginning the main goal of our armory stays the same – manufacturing of high quality equipment for medieval tournaments and buhurts. During these years we got a huge experience in producing real and functional armor made of mild steel, tempered spring steel, titanium. We see an importance of development of this sport well known as medieval full contact battle. This is the reason we take part in sponsoring and organising of many HMB and IMCF tournaments in different countries inside the Europe (France, Italy, Germany, Luxembourg, Austria, Croatia, Denmark, Spain) and on the other side of the ocean – in Canada. It’s more than 20 tournaments per year. And yet we’re open for more opportunities. At our website you can choose and buy HMB and IMCF armor as well as make an order for the custom armor designed by your own unique project. At any case you’ll get a high level customers service. Our managers will answer your questions. Forge of Svan team is ready to help you to become a serious battle-ready fighter that can meet his opponent at the fighting arena of medieval world championship such as Battle of The Nations or local HMB tournament. Whatever armor you choose: full plate armor, steel leg protection, steel arms protection, closed greaves, steel gauntlets, brigandine armor or helmet – you can be sure, our equipment keeps you safe in tournaments and buhurts for many years of practice. Helmet for HMB or IMCF is an essential part of your armor. That’s why it is important to pay high attention on quality of material and its thickness. We offer medieval helmets which can be done of 2.0mm or 2.5mm steel using the high quality mild steel and hardened spring steel. Some of you may ask about titanium helmet. Why not? Our armory can make it as well. There are many discussions among HMB fighters about material to choose for armor: mild steel, tempered spring steel, stainless steel or titanium. Titanium – is very durable metal. Titanium armor is 40% lighter than steel armor. Moreover it is absolutely resistant to corrosion. More time for your effective trainings instead of rust cleaning. Usually fighter begins to compose his equipment from accurately chosen padded under-armour: quilted gambeson and stockings. Without padding your armor is not complete. You can choose various gambesons, padded stockings, padded mittens, liners at our shop. Good professional armor – it’s a great step toward being a high class fighter and sportsman. Forge of Svan company is here to help you. With our equipment your dream becomes closer each day. No matter: you’r just beginner or experienced fighter – don’t hang around, your rival is already bought from us.